Where are the two new road crossings planned for the River Tees? Plans are set to be discussed on a new road routes to cross the River Tees. Tees Valley Combined Authority has announced further details of plans for new routes as a result of thorough investigations looking at 14 options. • A Central Tees Crossing route to reduce congestion on the A19: crossing parallel to the existing flyover, with significant improvements to the Portrack Interchange maintaining three full lanes from Wynyard to A66. 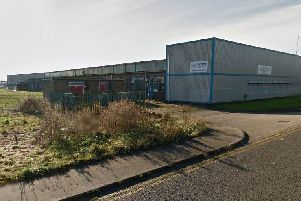 • An Eastern Tees Crossing route to unite industrial sites on the North and South Bank, aimed at strengthening the attractiveness of those sites, and expanding the catchment area for new jobs. Councillor Bill Dixon, chairman of the Tees Valley Combined Authority’s Transport Committee, said: “For too long commuters have faced frustrating delays to cross the River Tees, creating additional costs to the Tees Valley’s economy and limiting our growth potential. The proposal will be discussed by the Combined Authority’s Transport Committee on March 22.